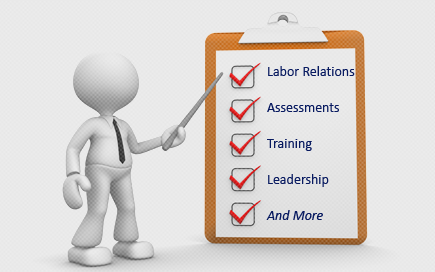 Labor Relations News Update December 17, 2014 | Oliver Bell, Inc. The Summary of NLRB Decisions is provided for informational purposes only and is not intended to substitute for the opinions of the NLRB. Inquiries should be directed to the Office of Public Affairs at Publicinfo@nlrb.gov (link sends e-mail) or 202‑273‑1991. The Board issued a Decision, Certification of Representative, and Notice to Show Cause in this consolidated representation and unfair labor practice proceeding. Previously, on May 9, 2013, the Board issued an Decision and Order granting the General Counsel’s motion for summary judgment in the unfair labor practice matter, on the ground that the Respondent had not raised any issues regarding its refusal to bargain with the Union that were not, or could not have been, litigated in the underlying representation case in which the Union was certified as the bargaining representative (Case 34-RC-081443). At the time of the Decision and Order, the composition of the Board included two persons whose appointments to the Board had been challenged as constitutionally infirm. Thereafter, the Respondent filed a petition for review in the United States Court of Appeals for the District of Columbia Circuit. On June 26, 2014, the United States Supreme Court issued its decision in NLRB v. Noel Canning, 134 S. Ct. 2550 (2014), holding that the challenged appointments to the Board were not valid. Thereafter, the Board issued an order setting aside the Decision and Order, and retained the case on its docket for further action as appropriate. In the instant proceeding, the Board noted that the underlying representation case also occurred at a time when the composition of the Board included two persons whose appointments to the Board had been challenged as constitutionally infirm. The Board stated that therefore, the representation decision would not be given preclusive effect, and the Board would consider the representation issues that the Respondent raised in this proceeding. The Board observed that in its response to the Notice to Show Cause, the Respondent reiterated its objections to the election alleging that the Union’s representatives (a) told employees that not voting would be counted as a “no” vote, and (b) gave new employees the impression that they were not eligible or that their votes would not be counted. The Board then stated that it had considered de novo the Respondent’s objections to the election held on July 26, 2012, and the hearing officer’s repost recommending disposition of them, and found that a certification of representative should issue. In addition to raising certain representation issues, the Respondent argued that the complaint was ultra vires because the Acting General Counsel of the NLRB did not lawfully hold that office at the time he directed that the complaint be issued. The Board rejected this argument for the reasons stated in Benjamin H. Realty Corp., 361 NLRB No. 103 (2014). The Respondent also argued that the complaint was ultra vires because the Regional Director did not lawfully hold the office of Regional Director of Region 3 at the time she directed that the complaint be issued, and that she continues to not lawfully hold the office. The Board rejected this argument as well. The Board observed that under the National Labor Relations Act, complaints are issued in the name of the General Counsel and with his authority, noting that the Respondent did not suggest that the complaint in this matter was issued without the authority of the then-Acting General Counsel. Moreover, the Board stated that the Regional Director for Region 3 was initially appointed on February 27, 2009, and her appointment was ratified on July 10, 2010, at a time when the Board had a quorum. Finally, the Board noted that in the instant case the complaint was actually issued by Acting Regional Director Paul J. Murphy, and the Respondent did not challenge his authority to act. Finally, the Board noted that the Respondent had refused to bargain for the purpose of testing the validity of the certification of representative in the U.S. Courts of Appeals. The Board stated that although the Respondent’s legal position may remain unchanged, it was possible that the Respondent had or intended to commence bargaining at this time, or that other events may have occurred during the pendency of this litigation that the parties may wish to bring to the Board’s attention. Therefore, the Board issued a Notice to Show Cause as to why it should not grant the General Counsel’s motion for summary judgment. Charge filed by United Food and Commercial Workers Union, Local 371. Chairman Pearce and Members Hirozawa and Schiffer participated. Bentley University (01-CA-111570; 361 NLRB No. 125) Waltham, MA, December 10, 2014. This case arose under NLRB v Weingarten, Inc., 420 U.S. 251 (1971). A Board panel unanimously adopted the Administrative Law Judge’s conclusion that the Respondent violated Section 8(a)(1) of the Act by requiring an employee’s union representative to be silent during an investigatory meeting that the employee would have reasonably believed could result in disciplinary action against her. Charge filed by the Bentley University Public Safety Association. Administrative Law Judge Joel P. Biblowitz issued his decision on March 25, 2014. Members Hirozawa, Johnson, and Schiffer participated. Meredith Corporation (17-CA-077657 and 17-RC-068104; 361 NLRB No. 128) Kansas City, MO, December 10, 2014. The Board granted the General Counsel’s motion for summary judgment in this test-of-certification refusal-to-bargain case on the ground that the Respondent did not raise any issues that were not, or could not have been, litigated in the underlying representation case in which the Union was certified as the bargaining representative. Accordingly, the Board found that the Respondent violated Section 8(a)(5) and (1) by refusing to bargain with the Union and refusing to provide requested information since about March 30, 2012. The Board noted that at the time it issued its original Decision and Order in this proceeding, the composition of the Board included persons whose appointments had been challenged as constitutionally infirm. The Respondent filed a petition for review of the Board’s decision in the United States Court of Appeals for the District of Columbia Circuit, and the General Counsel filed a cross-application for enforcement. Thereafter, the United States Supreme Court issued its decision in NLRB v. Noel Canning, 134 Sc.D. 2550 (2014), holding that the challenged appointments to the Board were not valid. Subsequently, the court of appeals remanded this case to the Board for further proceedings consistent with the Supreme Court’s decision. In granting the motion for summary judgment, the Board rejected the Respondent’s argument that its news producers are statutory supervisors and thus are not eligible for inclusion in any bargaining unit. The Board found that all representation issues raised by the Respondent were or could have been litigated in the prior representation proceeding. The Board further noted that during the pendency of the representation case. the Petitioner Union, American Federation of Television and Radio Artists, Kansas City Local (AFTRA) merged with the Screen Actors Guild (SAG) to form Screen Actors Guild (SAG)-American Federation of Television and Radio Artists (AFTRA), Kansas City Local, the Charging Party in the technical 8(a)(5) case, and that it is undisputed that SAG-AFTRA, Kansas City Local is the successor of AFTRA Kansas City Local. Member Johnson concurred, finding that the facts present a close question as to whether the news producers responsibly direct the work of other employees under the indicia of supervisory authority set out in Oakwood Healthcare, Inc., 348 NLRB 686, 691–692, 694–695 (2006), and its companion case Croft Metals, Inc., 348 NLRB 717, 722 (2006). Member Johnson further found that under any version of the test set out in those cases, the Respondent failed to establish supervisory authority. Charge filed by Screen Actors Guild (SAG)-American Federation of Television and Radio Artists (AFTRA), Kansas City Local. Chairman Pearce and Members Hirozawa and Johnson participated. Flamingo Las Vegas Operating Company (28-CA-069588 and 28-CA-073617; 361 NLRB No. 130) Las Vegas, NV, December 10, 2014. In view of the Supreme Court’s decision in NLRB v. Noel Canning, 134 S. Ct. 2550 (2014), the Board considered de novo the Administrative Law Judge’s decision and the record, and reaffirmed its vacated prior Decision and Order reported at 359 NLRB No. 98 (2013), which was incorporated by reference. In that decision, the Board adopted the administrative law judge’s findings of a number of Section 8(a)(1) violations by the Respondent, including threats and the creation of impressions of surveillance. The Board dismissed two Section 8(a)(1) allegations – the first that the Respondent had promulgated a work rule when a supervisor made a comment to an employee about following the chain-of-command, and the second that the Respondent had created an impression of surveillance when a supervisor made comments about an unnamed union “instigator.” Member Johnson dissented from the panel’s finding that the Respondent created an impressions of surveillance through two flyers distributed around October 7, 2011 and October 16, 2011. He also dissented from the panel’s finding that it was unnecessary to pass on whether a supervisor’s statement to an employee about “not inciting the men” was an unlawful promulgation of a work rule. In light of the panel’s finding that the security director unlawfully interrogated employees at an October 14, 2011 meeting, Member Johnson would find it unnecessary to pass on whether the security director also interrogated an employee in mid-November 2011. Administrative Law Judge Gregory Z. Meyerson issued his decision on June 25, 2012. Charges filed by International Union, Security, Police and Fire Professionals of America (SPFPA). Chairman Pearce and Members Hirozawa and Johnson participated. Purple Communications, Inc. (21-CA-095151 and 21-RC-091531 and 21-RC-091584; 361 NLRB No. 126) Corona and Long Beach, CA, December 11, 2014. The full Board reviewed the Administrative Law Judge’s finding that the Respondent’s electronic communications policy, which prohibits employees’ non-business use of its email network, was lawful and not objectionable under Register Guard, 351 NLRB 1110 (2007), enfd. in relevant part and remanded sub nom. Guard Publishing v. NLRB, 571 F.3d 53 (D.C. Cir. 2009). A Board majority consisting of Chairman Pearce and Members Hirozawa and Schiffer overruled Register Guard’s holding that employees have no statutory right to use their employer’s email system for Section 7 purposes. The majority concluded that an employer that gives its employees access to its email system must presumptively permit the employees to use the email system for statutorily protected communications during nonworking time. But an employer can rebut the presumption by showing that special circumstances make its restrictions necessary to maintain production and discipline. The majority concluded that Register Guard had focused too much on employers’ property rights and too little on the importance of email as a means of workplace communication. Instead, the majority adopted an analysis that accommodates the competing rights under an approach based on that of Republic Aviation, 324 U.S. 793 (1945). Acknowledging that an email system differs from real property in significant respects, the majority applied Republic Aviation and related precedents by analogy in some but not all respects. Based on Board and Supreme Court precedents, the majority rejected arguments that Republic Aviation’s presumption should apply only if employees would otherwise be entirely deprived of their statutory right to communicate and that employees’ alternative means of communication (such as by personal email or social media accounts) made the presumption inappropriate. The majority also explained that its decision was limited: it applies only to email, only to employees who use their employer’s email system for work, and only to employees’ nonworking time. Employers may still monitor email use for legitimate management reasons and tell employees that they have no expectation of privacy when they use the email system. The majority rejected claims that the decision violates employers’ free-speech rights. Rather than ruling on the Respondent’s electronic communications policy at this time, the Board remanded the case for the Respondent to present evidence of special circumstances justifying its restrictions on employees’ use of the email system. In separate dissents, Members Miscimarra and Johnson contended that Register Guard was correctly decided and should not be overruled. Member Miscimarra argued that the majority’s decision: (1) improperly presumes that employees need to use employer email systems to engage in protected conduct; (2) does not properly balance employees’ statutory rights against employers’ property rights; (3) adversely affects other legal requirements and creates significant problems for employees, employers, unions, and the Board; and (4) replaces a clear rule with one that makes it impossible for parties to understand their rights and obligations. Member Johnson argued that the majority: (1) misunderstands the differences between email and physical space and, as a result, undermines employers’ rights to own and operate email networks; (2) wrongly rejects precedents stating that employees have no right to use employer equipment and relies on employees’ convenience; (3) misapplies Republic Aviation by failing to consider employees’ other communication options, failing to limit the property intrusion to what is adequate for employees’ effective exercise of their rights, and failing to follow the principle that “working time is for work”; (4) wrongly disregards employees’ alternative means of communication; (5) violates the First Amendment by forcing employers to subsidize hostile speech; and (6) creates an unworkable rule. The charge and petitions were filed by Communications Workers of America, AFL-CIO. Administrative Law Judge Paul Bogas issued his decision on October 24, 2013. Chairman Pearce and Members Miscimarra, Hirozawa, Johnson, and Schiffer participated. Tekweld Solutions, Inc. (29-RC-099621) Farmingdale, NY, December 11, 2014. Order denying the Employer’s motion for reconsideration of the Board’s November 3, 2014 order denying the Employer’s appeal of the Regional Director’s determination not to process the Employer’s September 2, 2014 as an objection to the revised tally of ballots. The Board explained that, in a decision reported at 361 NLRB No. 18, it had sustained the challenges to the ballots of 23 employees and directed the Regional Director to count 6 other ballots, serve the revised tally of ballots on the parties, and issue the appropriate certification. After receiving the revised tally of ballots, the Employer sent a letter on September 2 “objecting” to the revised tally of ballots on the ground that it did not include the 23 ballots the Board had ruled should not be counted. As directed by the Board, the Regional Director issued a Certification of Representative on September 5, and by letter dated September 8 advised the Employer he would not process its September 2 letter as an objection because (1) it was not timely, and (2) it also raised a matter that the Board had already decided. The Employer appealed this determination, and the Board’s November 3 order denied the appeal on the merits. In doing so, the Board declined to rely on the Regional Director’s finding that the September 2 letter was not timely, but left the remainder of his rationale undisturbed. Accordingly, the Board explained that the November 3 order did not, as the Employer argued, find that the September 2 letter was a timely objection, but instead expressly approved the Regional Director’s refusal to process the September 2 letter as an objection. The Regional Director therefore also acted properly in issuing the Certification of Representative on September 5, and the Employer’s contention that the Board, rather than the Regional Director, should have issued the Certification of Representative was without merit. Member Miscimarra noted that he dissented in part in the underlying decision and stated that he adhered to his views expressed at 361 NLRB No. 18, but he agreed with the denial of the Employer’s motion for reconsideration as it failed to raise issues not previously considered. Petitioner—Warehouse Production Sales and Allied Services Employees Union, Local 811. Members Miscimarra, Hirozawa, and Johnson participated. Euro Builders, Ltd. (09-CA-106788, et al.) Englewood, OH, December 9, 2014. No exceptions having been filed to the October 24, 2014 decision of Administrative Law Judge Thomas M. Randazzo finding that Respondent had engaged in certain unfair labor practices, the Board adopted those findings and ordered the Respondent to take the action set forth in the Judge’s recommended Order. Charges filed by International Union of Bricklayers & Allied Craftworkers, Ohio-Kentucky Administrative District Council, Local 22 Ohio. All American School Bus Corp., Cifra Escorts, Inc., Citywide Transit, Inc., Rainbow Transit Inc. (29-CA-100827, et al.) New York, NY, December 9, 2014. The Board adopted Administrative Law Judge Raymond Pl Green’s September 20, 2013 findings and ordered the Respondent to take the action recommended in the Order for the severed cases. Charges filed by Local 1181-1061, Amalgamated Transit Union, AFL-CIO. Sacramento Container Corporation (20-CA-116307 and 20-RC-111147) McClellan, CA, December 10, 2014. No exceptions having been filed to the October 29, 2014 decision of Administrative Law Judge Jay R. Pollack finding that Respondent had engaged in certain unfair labor practices and objectionable conduct, the Board adopted those findings and ordered the Respondent to take the action set forth in the Judge’s recommended Order, and ordered a second election to be held by the Regional Director. Charge and Petition filed by Teamsters District Council 2, International Brotherhood of Teamsters, Graphic Communications Conference, Local 388M. SBM Management Services (05-CA-129128 and 05-RC-126500; JD-70-14) Elkton VA. Administrative Law Judge Arthur J. Amchan issued his decision on December 8, 2014. Charge and Petition filed by International Chemical Workers Union Council, UFCW. Wal-Mart Stores, Inc. (32-CA-090116, et al. ; JD-69-14) Bentonville, AR. Administrative Law Judge Geoffrey Carter issued his decision on December 9, 2014. Charges filed by The Organization United for Respect at Walmart (Our Walmart). International Brotherhood of Teamsters, Local 992 (UPS Ground Freight, Inc.) (05-CB-132184; JD-71-14) Williamsport, MD. Administrative Law Judge Arthur J. Amchan issued his decision on December 11, 2014. Charge filed by an individual.